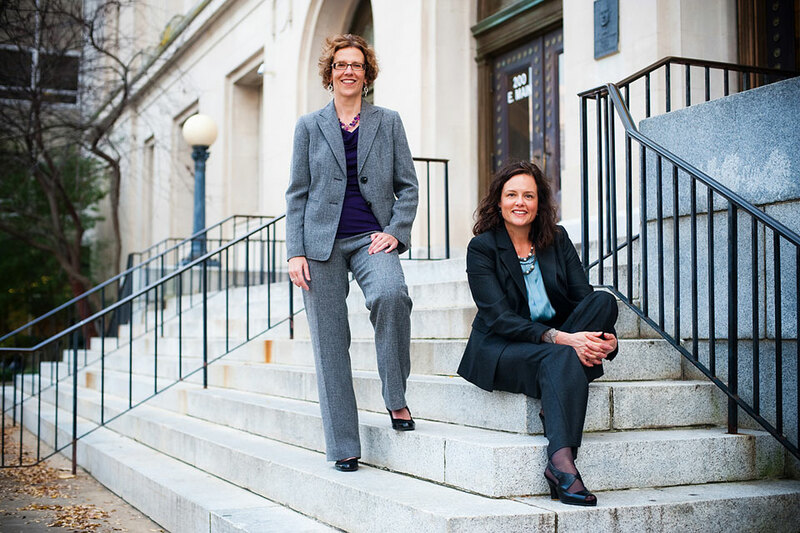 With nearly 30 years’ combined experience in family law, Julie Woodmansee and Barbara Szombatfalvy have represented hundreds of individuals facing divorce. They bring a thorough knowledge of the law and years of practical experience to every client’s case, and they’re passionate about helping clients successfully navigate the difficult transition of divorce. They are also seasoned trial attorneys, effectively representing their clients in court when a negotiated settlement isn’t possible. Durham Family Law Group is solution-oriented. Most people want to spend their funds wisely, avoid unnecessary conflict, and reach a resolution in a reasonable time frame. Barbara and Julie take a practical, efficient approach to solving problems, and they carefully evaluate options for cost and effectiveness. They use strong negotiation, mediation, and advocacy skills to help clients achieve their goals, avoiding whenever possible the need for expensive, time-consuming litigation. Julie and Barbara are devoted to client service, and they’re dedicated to the success of each client. That means taking the time to understand each client’s unique circumstances and being readily available to discuss developments and answer questions. It means explaining the legal process so that you can make informed decisions and know what to expect. It also means being up-front about fees and costs and honestly evaluating your legal case and your goals and expectations.